Discussion in 'iPhone and iPad Games' started by Shadow Bug, Oct 6, 2016. 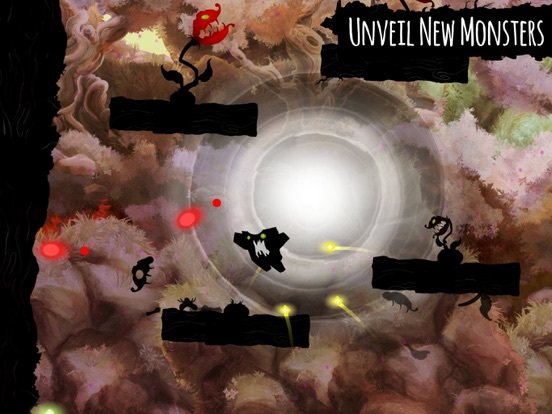 We're happy to announce that Shadow Bug Rush is finally out on the App Store and Google Play. It's free! Shadow Bug is back as slick as ever. 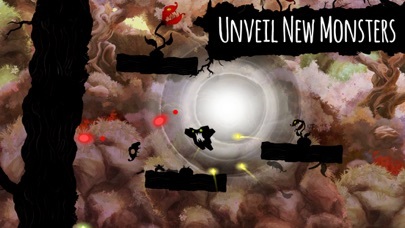 Shadow Bug Rush offers endless levels of slicing monsters to pieces! 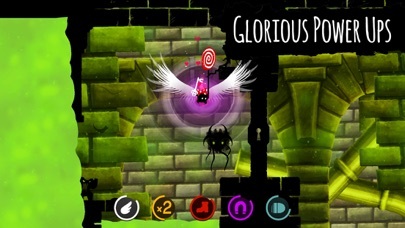 The game’s familiar one-finger-controls take platformer gaming to a new level. 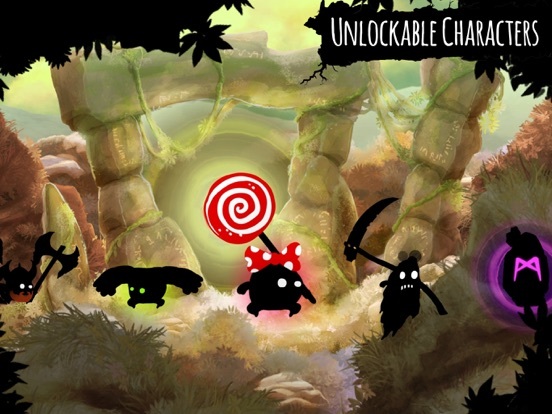 Upgrade the game’s worlds by unlocking new monsters and traps. Climb the leaderboards. 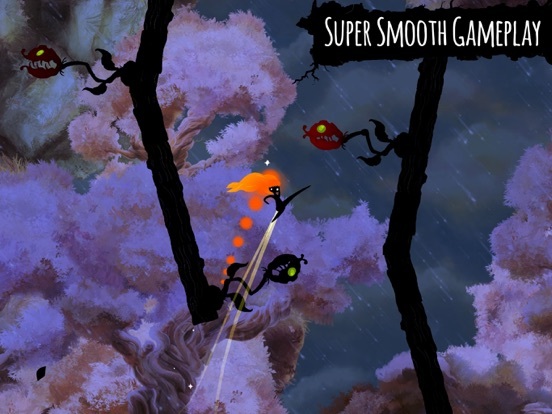 Collect loot, power ups and characters as you Rush through gorgeous landscapes with your ninja powers! 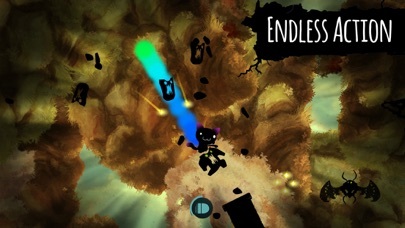 Features: • Endless, random, increasingly difficult levels. 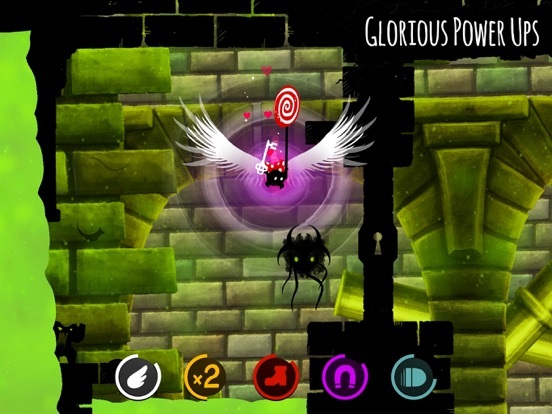 • Dozens of obstacles and traps carefully designed to slice you. • Unlockable characters! • Leaderboards • Achievements Important information: This game contains third party advertising and cross promotion for other Muro Studios games, both which can be removed via a one time In-App Purchase. As like Shadow Bug. It worth trying. Thank you Techzamazing for the gameplay video. Great stuff! We just got our website for Muro Studios live as well. It's intense and fun. 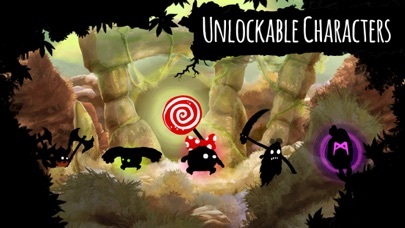 There are lots of characters to unlock and you even unlock and upgrade the level itself with more traps that kills you lol. I've been playing since yesterday so I've already unlocked a few characters and upgraded my level to the point the next upgrade is 8000. I like this free to play model. There are no timers or anything. There are forced ads but there's a single IAP to get rid of them. There are opt in ads for extra currency if you don't want to purchase consumable IAP. I took off one star because there is no iCloud save support but lots of consumable IAP. If you add iCloud saves I'll make a few consumable purchases. For now I did remove the ads since that's restorable. One bug to report. As I reported last night. The moment I tap the share button the game crashes. It's still doing this behavior. Can anyone else confirm this? Thank you for reporting the bug LordShad0wz! With our test devices iPad mini2 (ios 9.3.1) and iPad mini2 (ios 8.4) and iPhone5s (ios 10.0.2) it works. We will look into it for the first update! but Rush with its endless?/too many continues ruined my exitement very quickly. To test it out i watched an ad, paid 250, then 500 and had not enough coins to pay the 1000...and no instant replay button on this screen...sigh. I know, from the coin-iap selling point in a f2p game (the Devs need food and a cozy living room too), it becomes hard and harder to see an honest one-life GC leaderboard, or at least a second board with only one continue. Pay for the ads-free version and get that continue for free. That would my appeal/incentive to go premium. The art work is still top notch and so are the responsive controls in this very difficult but well thought out endless slasher. Unfortunately this suffers the same underestimated recognition as your flagship. Pity. Though i never need a 'share button' in my games, i can't produce that crash. Using iphone 5s, version 8.4.1.
thanks for the feedback. It's awesome to hear you love Shadow Bug! Yes Shadow Bug Rush is f2p. 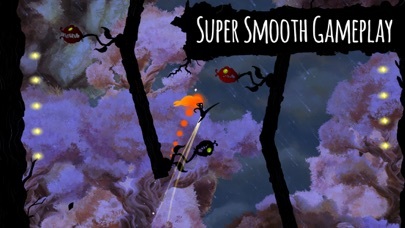 We basically hope to get more players to play Shadow Bug games with cross-promotion between the two Shadow Bug games. We have already seen a small spike on the purchases of the premium SB thanks to the f2p SBR crosspromotion! So after playing for several days here are my thoughts and requests. I've found sometimes right from the start no matter what there's no where for you to go and you die from the spikes. You might need to look at this issue. It gets frustrating. I can post screenshots if you wish? You can upgrade characters by getting them multiple times. That is a FANTASTIC idea! Whoever thought of that is awesome! I love it! What does leveling up do though? I don't notice the characters walking faster or anything? There needs to be a currency doubler in app purchase. I cannot say this enough. Please add this as soon as possible. I purchased the no ads and I would purchase this. There's so much to upgrade and unlock the game needs this. Even watching all of the ads everyday you still need this. It should have been there since day one. I won't purchase any consumable IAP because there isn't ICloud save support. If I delete the game I would lose all of my money. This is also why you need a currency doubler because it can be restored. But with consumables I don't want any chance of losing money. If you guys address the above issues if go from 4 to 5 stars for sure. I really do like this game. I love all of the different characters. I really thought it was a great touch when Insaw a character level up when I got it a second time. I really recommend this game. We would love to have a screenshot and more detailed explanation of the situations you get stuck in. Coin doubler and iCloud are under consideration for an update. Character level up gives +1 coin per sliced monster. Just play a few rounds and you should see it. You'll see where after you've killed a few enemies you'll be where you can't walk and no enemies and there are the blades right there. My score is usually around 45. I have a bunch of doctors appoints today but I'll try to do it later this evening and post some pics. For the character level ups maybe you could add more functionality like they walk a little faster or something? Also I was wonder if you would consider a different control scheme. I was giving it a lot of thought and a lot of time my big fingers get in the way. So I was thinking. What if you made it so we could simply do a swipe in the direction of the monster we want to kill. From anywhere on the screen. The character would then target the monster in that direction. It would allow me to keep my fingers out of the action. What do you think? What does everyone think? Why isn't everyone talking about this game. It's a damn good game and deserves more attention. If the rest of you touch arcaders don't start talking I'm going to get upset. And we don't want that. Oh there was something else I forgot to mention. Usually when you purchase no ads. Especially at the $3.99 price point. When you have a continue where you are given the option to watch an ad you normally are given one free continue. In this game we are not given that. I can give you a list of games I currently have installed where this is how it's done. As a matter of fact. Since I purchased no ads. When I die the option to view an ad to continue is darkened out and I can't even do it. All I can do is pay precious coins and being they are hard to come by and there is no coin doubler there's no way I can do that. I need those coins to upgrade the level and to get new characters. Can we please get one free continue if we paid for no ads? I just went to watch opt in ads for coins and I can't. Why? There's a heart where I get 1000 coins but it's now darkened. I wanted to watch the opt in ads for coins. Please put a toggle in options to turn this back on. I don't mind opt in ads if the rewards are worth it. Now I can't do that. I wish I could get my money back and undo the no ads purchase. I'm actually being punished more for paying money. once again thanks a lot for the feedback! First of all thank you so much for buying the Remove Ads iap! Too bad you have had such annoying experience with it. We will ramp up the amount of coins you get with the heart button for the Halloween update we are working on at the moment. The "Continue by watching an ad button" changes to a "Play button" after buying the Remove Ads. With our test devices this happens. We have heard quite many problems with the iOS 9.3.5 on SBR which is weird. Have you tried updating your iOS to 10? I don't want IOS 10 yet. I like my Gamecenter app plus I like to wait a bit before upgrading. The play button is there but it's darkened. You can't tap it. What's the timer for the heart in the shop? And honestly why not simply put a toggle in options for players like myself that will watch the opt in ads for coins. You will get more ad revenue from people like me and keep people who absolutely do not want ads happy as well. With the amount it costs to upgrade levels increasing the amount you get from the heart is a great idea. It seems the play button is now lighting up. I am now getting a free continue. Yeah! Maybe it took time for it to register or something???! It's definitely working now. As to the heart. It's been hours and it's still dark. This isn't right. I was earning thousands of coins watching the ads. I was saving up the 8000 coins for the next level upgrade. It's been hours since I earned the 1000 coins and you don't earn that much playing. Even with characters leveled up multiple times. The regeneration time is ridiculously long. I really hope you consider putting a toggle in the options to turn the opt in ads on or off. At the moment the heart needs 6 hours time to be able to use again. We will definitely consider the possibility to watch ads even after buying the Remove Ads iap and the heart refresh time and the amount of money you get from the heart. Thank you very much. I look forward to the update. I do love the gameplay. I love all of the different characters. My favorite so far is the commander. I've gotten him only to level 2. I still haven't unlocked every character yet but I'm close. I played a few hours ago. Everything was fine. I retrieved my heart. Upon getting the 1000 coins I unlocked Olaf for a 3rd time so he's level 3. I played a few rounds and used free continues after that. No problems. I had no issues using the free continues. None! I just went to play and the free continue button is darkened and not functioning again. I haven't upgraded or unlocked any new characters since I last played. I haven't earned enough coins to do so. Nothing has changed or is different whatsoever from when I played earlier. It hasn't been 6 hours yet so the heart hasn't regenerated. Is it possible it might have something to do with the heart in anyway? This is so bizarre. So It's back to being broken. I'm a sad Commander lol. See picture. As you can see the play button is darkened out the same way the heart looks like after you've used it in the shop. I restored purchases. It had no effect. It's still darkened. I rebooted my iPhone. It had no effect. It's still darkened. EDIT- It's been 2 hours since I made this post. The heart regenerated. I played before I used it. 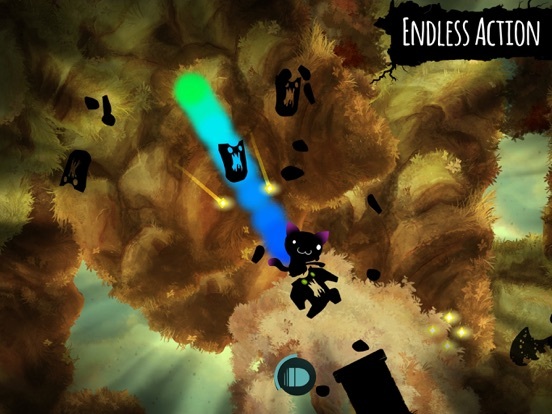 The continue button remains darkened and unusable. I used the heart and got the 1000 coins. I played again using another character. The continue remained darkened and unusable. EDIT 2- It's now the following morning. The free continue button is still darkened and unusable. I used my heart and retrieved my 1000 coins. I unlocked the robot. I like that character. This thing can't make up its mind. Man that's getting really interesting Works. Doesn't work. Works... Does not... Yes it does! That twitter thing is a very good point. We are quite busy at the moment with the halloween update so sorry for not being so fast in responsing here for a while. There's going to be three new characters!